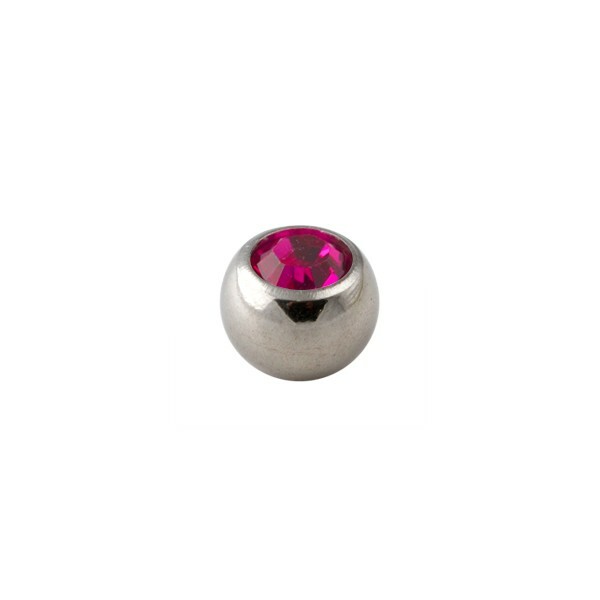 316L surgical steel piercing only ball decorated by a pink rhinestone diamond. This replacement for piercing provides a burst of beauty to your jewel. 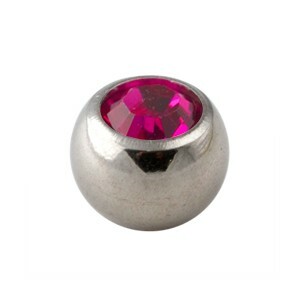 This body jewel pink rhinestone piercing replacement only ball made in 316L Surgical Steel & Strass, of Round shape, with Pink as the predominant colour, and with Metallic as a secondary colour, which the material of the base is 316L Surgical Steel, and which the material of the ornament is Strass is proposed to you in 1.2mm/16G, 1.6mm/14G size and with a 03mm, 04mm, 05mm, 06mm, 08mm ball. There are 10 other versions of this product: rainbow, white, light blue, turquoise, dark blue, red, purple, light green, dark green and black. This product is often bough with turquoise rhinestone piercing replacement only ball and purple rhinestone piercing replacement only ball.